eHealth applications that use video and services linked to medical staff who can deal with emergencies as they arise. So the demand for widespread deployments of fiber broadband -- particularly gigabit speeds and higher -- is on the rise. Service providers are at the nexus: hoping to help the consumers in their footprint connect with the services and applications they want, while making economical choices that will help grow the business and help them serve more customers. The items in this section are tailored for providers. In our years of experience, we understand that providers face different situations, depending on whether they serve urban areas or more rural communities. And challenges will be different depending on the stage of the deployment each provider is in. 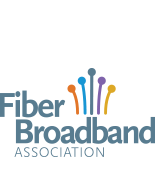 We invite you to join the Fiber Broadband Association to become part of the oldest and largest group of fiber providers on the continent. You’ll have access to members only resources, receive weekly news, discounts on meetings and trainings, but most of all, you’ll have the opportunity to network with other professionals facing the same challenges. Or better yet, you’ll connect with people who’ve solved them. Find resources for rural or suburban and urban providers through the links at left.